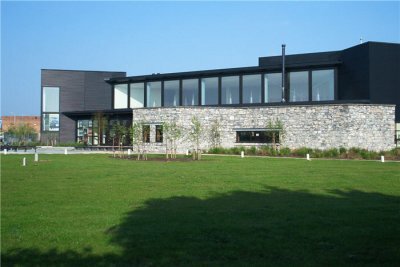 Glór is an International Folk Music Centre and is a high-profile tourism/leisure facility in Ennis, Co. Clare. 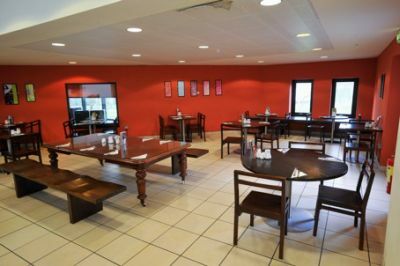 This project consisted of very complex building services and a very high level of internal finish. 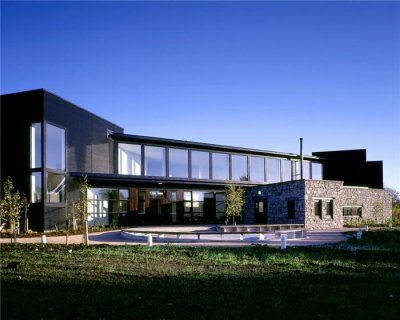 The floor area of the building was 2,300m2 and the main structure consists of a steel frame with insulated cladding to all elevations except the reception area elevation which is faced with natural stone walling. The interior of the building is extensively detailed to fulfill acoustic and lighting requirements. The building includes two auditoria seating 480 and 70 people. The main auditorium is essentially a very high specification concert hall/theatre with tiered seating, some of which is retractable to reveal a hardwood dance floor. 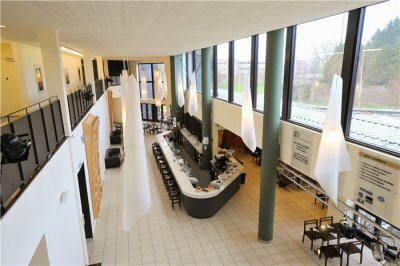 The ground floor hosts a café/bar with a retail area (sometimes used as an exhibition space) and an adjacent meeting room. The first floor includes an auditorium gallery, an exhibition gallery and offices.